Ashley Renaldo Nurse is a West Indies cricketer, who was born on 22 December 1988 in Christ Church, Barbados. Primarily a right arm off break bowler, he is a right-handed batsman. 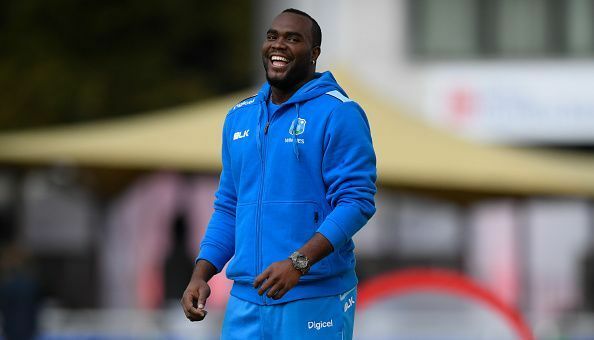 He plays for Barbados in first-class, List A, and Twenty20 cricket. He was awarded as the Regional Limited-Over Cricketer of the Year by West Indies Players’ Association in July 2017. There is a huge uplift in his ranks in a short span from the time he joined Barbados team to his entry into the West Indies side. On 21 April 2011, he made his T20I debut against Pakistan at Gros Islet. However, he failed to take even a single wicket in his debut. Nurse made ODI debut against Sri Lanka on 16 November 2016 at Harare. In this match, he bowled for 10 overs and took three wickets, giving away 46 runs. Nurse is the most important player of the Barbados bowling attack. He is able to take the wickets whenever required and stop the flow of runs, creating troubles for the opposition. In a Caribbean T20 match against Trinidad & Tobago, he showed an excellent performance and got bowling figures of 5/26. On 7 April 2017, he took four wickets in the match against Pakistan which gained him a huge fame and resulted in his comeback in T20 Internationals. Nurse had made his first-class debut from Barbados against Jamaica on 9 February 2013. Since then, he has played 37 first-class matches and took 130 wickets. His career-best bowling figure in first-class cricket is 7/10 and his highest individual score is 130 not out. At domestic level cricket, he plays for Barbados, Trinbago Knight Riders, and Combined Campuses and Colleges.